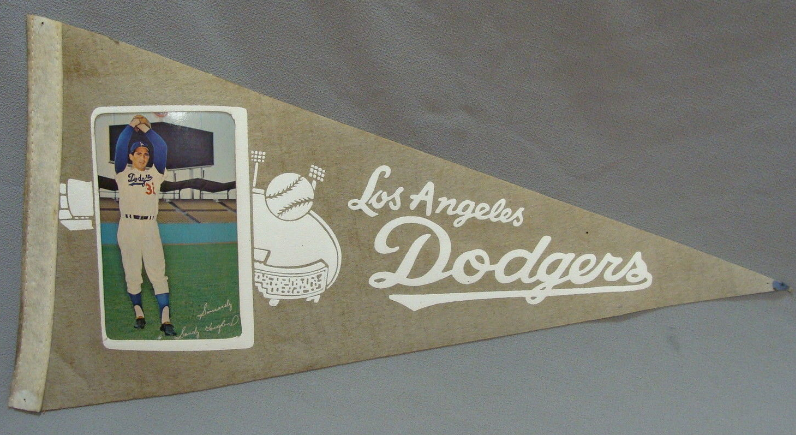 I'm not much of an pennant collector, but this particular item I saw on eBay over the weekend is just too great to overlook. 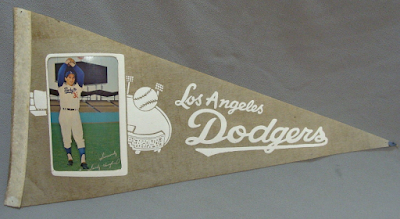 Featured here is a unique vintage pennant, measuring just 18", that features Hall of Fame pitcher Sandy Koufax. 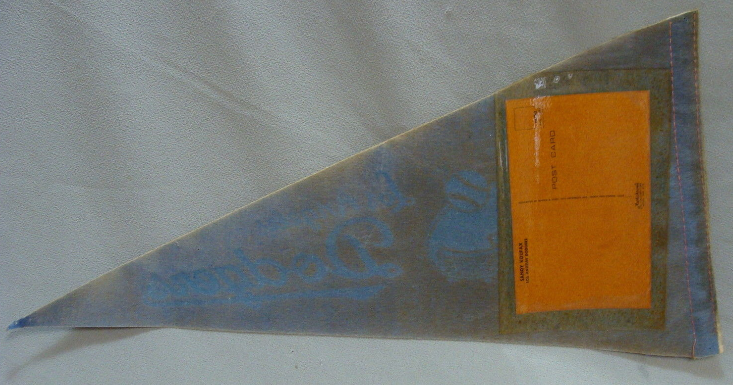 As you can see, it's a bit faded and smaller than the typical pennant you can buy in stores today. What's also unusual about it is that it includes a Koufax postcard that has been embedded within it. My trusted Sandy Koufax checklist tells me that the postcard is from 1966, so we can date the piece to that season, and that season only. This was Sandy's last year in the Majors. I am unsure what something like this would sell for, but based on the current value it is garnering on eBay it must be scarce. As the time of this posting it is at $52.99 with nearly two days remaining.